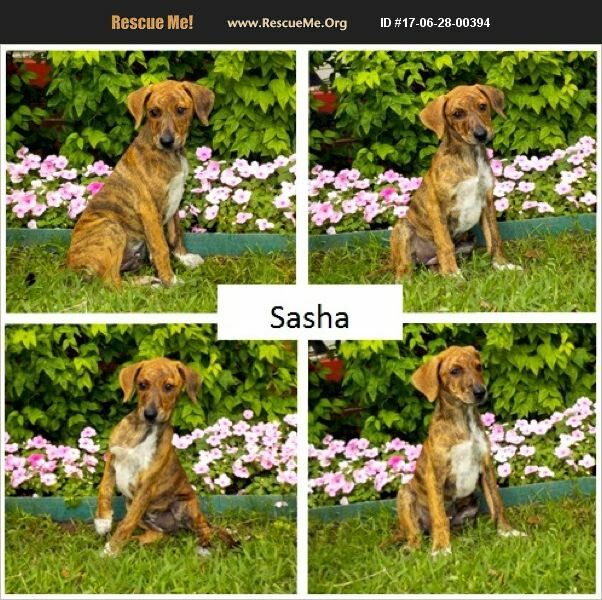 Sasha is a 14 week old rescue puppy looking for her 'furever' home. The markings on her beautiful brindle coat are dramatic, and her personality is silly and spunky. She's playfully sweet, and she loves people. She is a smart girl who is eager to please. She's good with children and cats and she's always in the middle of the action with her litter mates. This little angel would brighten your home and love you with loyalty that dogs are best known for. Sasha's mother is shepherd mix who weighs 40 lbs, and is great with kids and other animals, including cats. We know which male dog she bred with. He's a lab/boxer mix who weighs about 60 lbs, and is also great with kids, cats and other animals. There were originally 8 puppies in the litter and we've found homes for four of them. We know all of the people who adopted the first four, and all report that they are smart, lovable puppies who are adapting very well. Sasha is current on her vaccinations. We are asking for a small re-homing fee to cover part of the veterinarian expense, and we would like a veterinary reference. We have invested a lot of love and time into this puppy and we want to be sure she goes to a home that will cherish her.